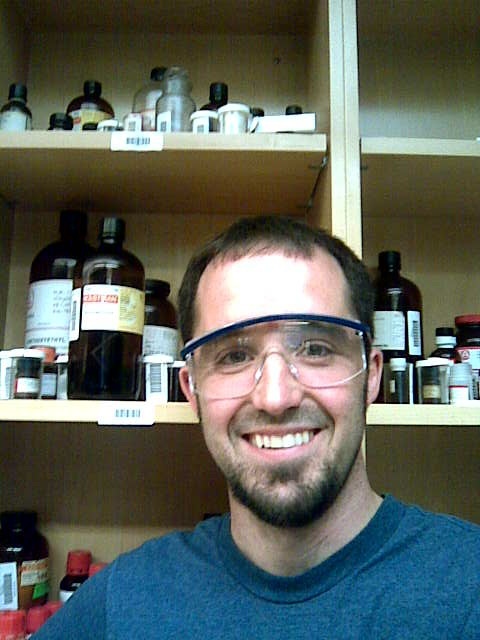 My research program explores the medicinal properties of organometallic cobalt-alkyne compounds. We are interested in explaining how, for instance, aspirin shows significantly greater cytotoxicity and cyclooxygenase inhibition when it is conjugated to a cobalt-alkyne complex. In this work, I and my students will synthesize several drug analogs to test our hypotheses of possible modes of drug action. We will then carry out several assays, including cytotoxicity assays with a few different cancer cell lines. Students with an interest in organic synthesis and medicinal chemistry can contact me to talk about exciting research opportunities! Regretfully, there are currently no positions open here for postdoctoral researchers. My expertise is in organic chemistry, broadly defined. Organic chemistry deals with molecules that take advantage of the strength of carbon-carbon bonds -- molecules like vitamin C, Vioxx, polystyrene, estrogen, DDT, etc. We will study the structures of these molecules, as well as the techniques used to determine those structures. We will then roll up our collective sleeves and delve into organic synthesis, the art of building molecules. The mechanisms by which molecules undergo reactions will be stresses; students will learn not only the what, but also the how and why. Organic chemistry requires three-dimensional thinking, attention to detail, and perseverance. It resists attempts at rote memorization and rewards creativity and openness to new ideas. It is the chemistry of life, and of our lives, and many of you are required to take it anyway, so perhaps this sales pitch is completely unnecessary. Here at Lawrence, we pride ourselves on offering individualized education; if there's some topic you'd like to study in depth, I'd be happy to sit down with you and talk about designing a new tutorial with you. If you're considering Lawrence, I'd be happy to talk with you about our chemistry program, our new NSF-funded nuclear magnetic resonance spectrometer, the Freshman Studies program, the university as a whole, the city of Appleton, and my worries concerning the potential failures of Wisconsin's professional sports teams. Last updated: August 9, 2010.